The Ministry of Justice has prepared an opinion which paves way for access road to Haresha to be constructed. The Justice Ministry’s Counseling and Legislation Department has provided a legal opinion, with the agreement of Attorney General Avichai Mandelblit and Justice Minister Ayelet Shaked, which paves the way for the access road to the community of Haresha in Binyamin to be constructed. The move means that the community will be legally legitimized immediately and it will be possible to submit a zoning plan for the community using the “cut & cover” solution - paving a road over which concrete will be placed. Earth will be then placed on the concrete, allowing the Palestinian Arabs to continue growing their trees. The legal opinion enables the permanent expropriation of the land in the future. "Until now, the state has not been able to regulate the construction in the area, in light of the fact that the road leading to Haresha is not regulated, and it passes through privately owned land. The section of the road that passes through private land, and which is at the center of this legal opinion, stands at 121 meters,” says the legal opinion which was obtained by Arutz Sheva. The Attorney General for the Judea and Samaria Area submitted an opinion according to which it is possible to arrange access to the community by digging a tunnel or by constructing an overpass, as long as they do not cause harm, even temporarily, to the reasonable use of the land. 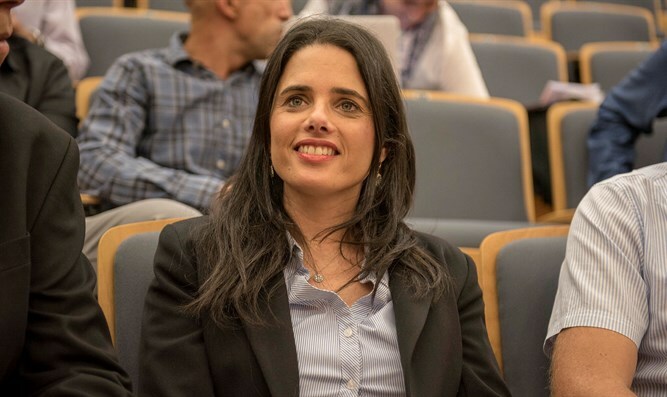 Justice Minister Ayelet Shaked said, "From the beginning of my current term I have set a goal of normalizing the lives of the residents of Judea and Samaria and normalizing as many communities as possible. We have gone from a discourse of eviction to a discourse of normalization. These actions are in addition to the strengthening of the communities by other means, such as the transfer of authority in matters of Judea and Samaria from the Supreme Court to the Administrative Affairs Court in Jerusalem, as well as the equalization of legislation for Judea and Samaria." Shaked promised, "I will continue to work for the normalization of additional communities in Judea and Samaria. I thank Attorney General Avichai Mandelblit, Deputy Attorney General (Erez) Kaminitz and the Legal Advisor for the Judea and Samaria Area for their important activity on the issue."